We had been on the road for a day and a half when we reached Abalak, more than 700km from Niamey, the capital city of Niger. We were still 250km away from the legendary city of Agadez, our final destination. We had chosen to travel by road to enjoy the beauty of the cultural, picturesque and architectural diversity of the country that characterized the 1000km between Niamey and Agadez. The both of us, nationals of Niger and Togo, had to prove, despite all likelihood, that we were tourists and that, the Togolese was not trying to migrate illegally and her friend from Niger was not a smuggler. We had been through a number of checkpoints with no real checks until Abalak. There, for the first time, we were made to stop. The police officials made us step out of the car, which was searched, while we were being interrogated and asked to show our IDs. We quickly understood that we were being asked to prove that our final destination was indeed Agadez, the city at the center of Niger, once known for its tourist attractions but recently turned into an infamous synonym of illegal immigration due to its geographical location and an opportunistic European agenda. The both of us, nationals of Niger and Togo, had to prove, despite all likelihood, that we were tourists and that, the Togolese was not trying to migrate illegally and her friend from Niger was not a smuggler. Hence, we had to provide evidence that if ever we were migrants (because, after all, migration is a right) we did not intend to go further than the Aïr mountains and the Tenere desert. We had to assure them that we were going nowhere close to Algeria, Libya or the so-called European Eldorado. As unusual and unbelievable as it may have seemed, we were just West African nationals on tourism within West Africa. The police, visibly embarrassed about the whole process they somehow are obliged to conduct, eventually handed us a paper that we would need to show at the entrance of Agadez. Fortunately, Niger already has all it takes, a potential financial manna and a viable instrument of peace and stability that is only waiting to be exploited again: tourism. And then, almost out of nowhere came Agadez. The legendary city, which was one of the main stopovers of the original Paris-Dakar rally, stands at the entrance of the most beautiful desert in the world and at the crossroads between north and sub-Saharan Africa. Agadez, a city that has been well written about but somehow stills remains modest and mysterious like the desert that it so jealously guards. However in recent times, the region once a tourist’s dream destination, has been paying a very high price for the country’s instability and especially for its classification as a “red zone” by most western countries following the abduction of workers from the Areva mining firm in Arlit in 2010. Colonel Gaddafi’s death the following year and the subsequent incursion of weapons and fighters into the Sahel further endangered the tourism business in Niger. Agadez is now considered a no-go zone for westerners. It is now a region that foreign tourists and workers are advised against travelling to. Despite the tremendous efforts and investments that the authorities in Niger have been making notably with a multi layered approach combining security and economy, the country is still faced with the urgency of finding new solutions to its challenges. Fortunately, Niger already has all it takes, a potential financial mine and a viable instrument of peace and stability that is only waiting to be exploited again: tourism. In 2006, tourists’ arrivals at the Agadez airport (around 5000) are said to have brought around 9 billion FCFA (15 million USD) to the local economy. The figures could have been higher with more investment and promotion of the tourism sector in other parts of the country. The region of Agadez alone has unique tourist attractions and and offers a range of extraordinary development opportunities. Tourism which is often linked to art, craft and culture used to account for 10% of Niger’s GDP. It was a source of direct and indirect income for hundreds of thousands of people. In 2006, tourists’ arrivals at the Agadez airport (around 5000) are said to have brought around 9 billion FCFA (15 million USD) to the local economy. The figures could have been higher with more investment and promotion of the tourism sector in other parts of the country. Experts of the Sahel region, consider security to be a prerequisite to the revival of tourism. Undoubtedly, Niger is struggling to control its borders with Mali, which has been crisis-ridden since 2012. The same can be said for the shared borders with Nigeria, which has been a theatre of operations to Boko Haram insurgents. In addition, Niger is trying to contain internal acts of violent extremism in the regions of Diffa and Tillabery. Nonetheless, Agadez, particularly unfavorably highlighted in travel advisories drafted by Western embassies, is becoming prone to poverty-related crimes. However, the rate of these crimes is statistically lower than what obtains in other regions of Niger or other parts of the world. 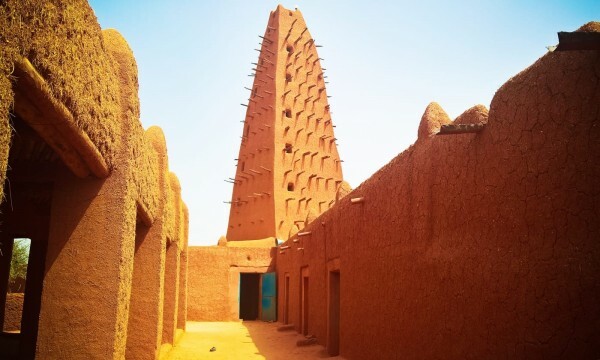 In fact, in many regards, Agadez can be considered more peaceful than places like Paris or Brooklyn. These same Sahel experts, many of them owing their “expertise” to the ongoing conflict in Mali, from the comfort of their offices in New York, London, Paris, Brussels or Dakar seem to agree that violent extremism is filling a void created by states themselves who leave their youth unemployed, uncared for and left in vulnerability and social uncertainty. It is an issue that needs a number of different yet coordinated solutions and no country in the affected region can disregard the need to completely rethink and reconstitute their society’s components and power dynamics. Many African countries should be forced to sit and take a hard look on their structures and the chances and opportunities they give (or do not give) to each one of their citizens. But one sure thing that tourism can offer is employment and its direct financial benefits. Despite a context of growing global uncertainty, security crisis and resurgence of violent clashes, 1.3 billion people travelled in 2017. Tourism remains a resilient sector, one of the few that have known a continuous growth globally for more than a decade, even surpassing trade in goods in the past five years. Globally, 1 in 10 persons works in the tourism sector, which represents the third largest export category right after the automobile and food industries. In many emerging countries, tourism is in fact, the first export category. While Africa has been reputed as being the fastest growing tourism region in the world in terms of visitors from the 1990s to the present, investments do not however follow the same path: investments in travel and tourism represent only 6.2% of total investment in 2016. In the words of the CEO of the New Partnership for Africa’s Development (NEPAD), “tourism is the missing link in Africa’s agenda for transformation”. The continent has an extraordinary tourist potential and future projections are promising: 1.8 billion international tourist arrivals are expected by 2030, 60% of whose destinations will be emerging economies. African stakeholders and policy makers need to take these prospects into full consideration for the sake of their people. To achieve this, Niger has to first channel its tourism efforts towards its own people and also its West African neighbors. Young Africans resident on the continent and in the diaspora are showing renewed and increased interest in continent’s wealth and some of them, have the means to turn their ambition to reality. They call themselves pan-Africans, expat,… and in recent years, have been brewing ideas for change and development in Africa They are ready to be key actors in the march towards the realization of “the Africa we want”. That’s a pool all African countries, especially Niger, can and must invest in. We, Africans, are working to build a continent in which by 2063, all guns would have gone silent, an Africa, confident in its own identity, heritage, culture and shared values. We want an Africa that is a strong, united and influential partner on the global stage making its contribution to peace, human progress, peaceful co-existence and welfare. Faced with multiple internal and external challenges, Niger still has the opportunity to make the conscious decision, now, to build a prosperous and peaceful future. 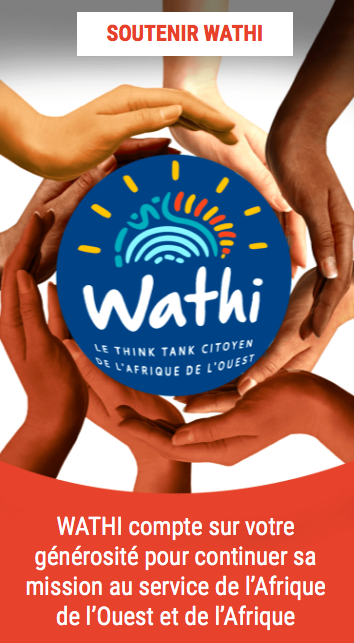 A member of WATHI, Tity has degrees in criminal law and criminology and currently works in a human rights organization in Dakar, Senegal. She previously worked at Girls Not Brides, a global partnership of 1000+ civil society organizations committed to ending child marriage and enabling girls to fulfil their potential. The views expressed in this article are her own and do not necessarily represent the views of any other organization she is or has been associated with. Mawli Dayak is from Niger. He is the director of the travel agency Temet Evenements and founder of the “Carrefour Innovation et Tourisme en Afrique de l’Ouest” (CITAO), a think tank and business incubator for tourism which first held in Agadez in June 2018. Mawli is passionate about culture and history and aims to bring people together by rehabilitating the business of tourism in Niger. He would like Africans to take the leap and discover the most beautiful desert in the world: the Tenere.